Julian Assange is a publisher and a journalist. He has done nothing wrong. Chelsea Manning saw the war crimes firsthand and brought Wikileaks the information needed to expose the wrongdoings. Assange and Wikileaks simply did what any journalist would do and they showed integrity by protecting their source. This is what good journalists do. How does this effect you? By violating the rights of any individual, it sets a precedent that inevitably destroys that right. By prosecuting Assange, they are taking away our first amendment and rewriting it to conform to their corruption. What this will lead to is a lack of true information and only state paid propaganda and the death of free speech. Do you like to state your opinion on things? Imagine a world where simply disagreeing with the government would get you arrested or writing a letter to Congress about a law you don’t like could lead to criminal charges. Are we going to return to the Dark Ages when publishing material can get you hung? Are we going to start burning books and arresting journalists for telling the truth? It appears we already are. 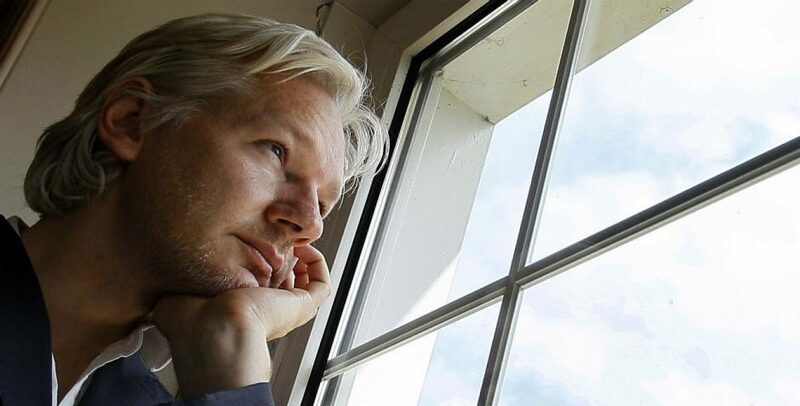 If Assange is extradited to the US, the DOJ will most certainly add more charges including espionage which can lead to life in prison or the death penalty. One of the greatest journalists of our time will be silenced forever and we will see the decay of the Constitution begin. There will be no whistleblowers or organizations that support government transparency. Worldwide journalists will quake in fear if they write the wrong thing. Our children will be punished for not thinking what the government wants. We will usher in the era of Big Brother and the thought police. No, this won’t happen overnight but take a look at Hitler’s Germany. The first thing the brown coats did was take over the press, burn books that disagreed with the Nazi agenda and limit free speech. The Nazis took over Germany in just a few years. By revoking Assange’s asylum it takes away any hope for future asylum seekers. It removes the permanent protection of a persecuted individual unjustly accused. It takes away human rights. If the US and the UK will not abide by international laws stated in the Geneva convention, lawlessness and chaos will ensue. There is a reason we made such agreements in the first place. The US cannot be allowed to buy a person through bribery or coercement. Can you see how this effects you and future generations now? Will you stand up and fight for your rights before it’s too late? I know i am going to.